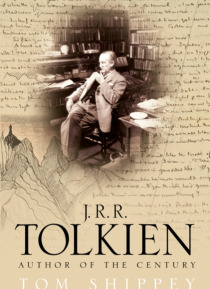 The definitive critical study of Tolkien's greatest works by the respected and world renowned Tolkien scholar Professor T.A. Shippey.Following the unprecedented and universal acclaim for The Lord of the Rings, the respected academic and world-renowned Tolkien scholar, Professor Tom Shippey, presents us with a fascinating and informed companion to the world of J.R.R. Tolkien, in particular focusing… on The Hobbit, The Lord of the Rings and The Silmarillion.Written in a clear and accessible style, Tolkien: Author of the Century reveals why all of these books will be timeless, and shows how even such complex works as The Silmarillion can be read enjoyably. Taking issue with the uninformed criticism that has often been levelled at Tolkien and fantasy in general, Professor Shippey offers a new approach to Tolkien, to fantasy and to the importance of language in literature, and demonstrates how his books form part of a live and continuing tradition of storytelling that can trace its roots back through Grimm's Fairy Tales to the Elder Edda and Beowulf.Note that it has not been possible to include the same picture content that appeared in the original print version.